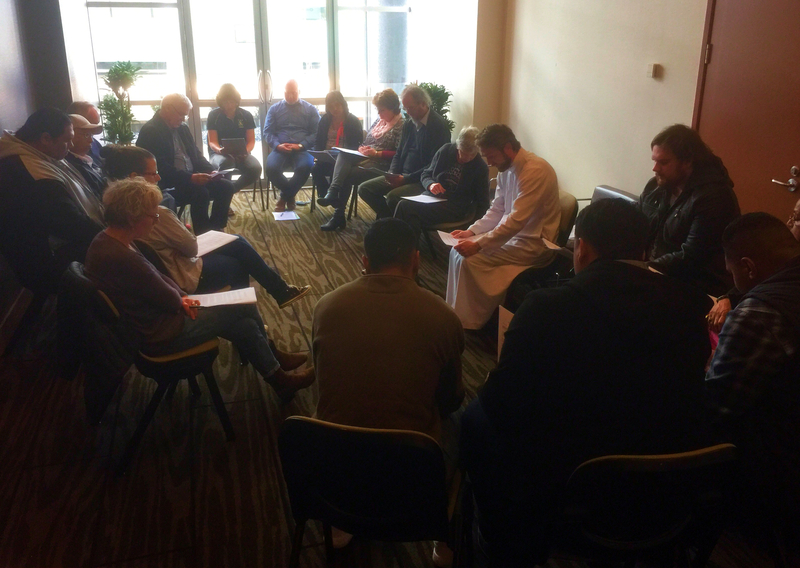 On Saturday 16th September, just on seventy LaSallians from the three N.Z Colleges met in Hamilton City for the day in order to share ideas and experiences and to hear reports on various NZMAC initiatives. 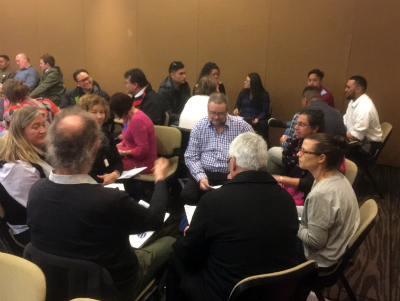 Participants came from Rotorua, New Plymouth and Auckland. All three principals attended as well as a wide range of teachers and ancillary staff from the three sites. The keynote address was provided by Merv McCormack the Executive Director of the LaSallian Mission Council. He provided an interesting update on a range of initiatives that are occurring in the wider District. Other brief input came from participants who are part of NZMAC initiatives. This annual gathering was very well received by participants since it provided information and inspiration to further underpin the idea that one of us is never as strong as all of us. Another feature of the day was the presence of a sizable number of graduate students from De La Salle College, Mangere, who are at university. These gatherings have now been taking place for around ten years and have succeeded in creating a strong unity amongst our College as well as the strengthening of La Salle brand of education in New Zealand. Gratitude is extended to all the participants as well as to Chairman, Kane Raukura, who continues to work unstintingly to support each of the three LaSallian communities as they deeper their LaSallian networks. LaSallian are leaders of hope, who bring hope to assist students in their search for hope.